Interesting issue isn’t it? The claim of “Quran being the most authentic book in the world”, the idea of Quran being “The only unaltered divine message now” and that Quran being “The last authentic revelation from God”, all are defied. So, to resolve this once and for all, we need to discuss several controversial ideas. The misunderstanding arose from Anti-Islamists and non-Muslims “Ignorantly” claiming that “qira’at” a plural word, actually means different versions of Quran and wrongfully spread the idea amongst all who would listen even ignorant Muslims. Traditionally, there are 10 recognized (agreed upon by Muslim scholars), from which seven categorized by a Muslim scholar “Abu Bakr Ibn Mujahid as most authentic and accepted. All Sahih Qira’at (authentic) were taught and revised orally and personally by the Prophet (PBUH)with his companions till the end of his blessed life, according to a Sahih Hadith (authentic Prophetic saying) narrated by Ibn Masoud. Schools of qira’at, each one derives its name from a famous reader of Quran recitation taught by the Messenger (PBUH). These Readings differ only in ways that DO NOT IN ANY WAY COMPROMISE MEANINGS OR PERMIT WHAT IS FORBIDDEN. For example: There is English with Irish accent, English with scottish accent and so on. Then, How do qira’at differ? Let me emphasize here on the fact that Quran is preserved both orally and in writing. The different styles of recitation are not all authentic except for those the Muslims agreed on (that scholars see authentic) which are ten. So, what criteria made those authentic? The condition of Tawaatur: having an authentic chain of narration (Reliable, numerous and continuous chain of narrators) back to the Messenger of Allah (PBUH). The variations in recitations should match known Arabic grammatical constructions. In case of unusual constructions, it could be verified by their existence in passages of pre-Islamic prose or poetry that are known. The recitation should coincide with the script of one of the copies of the Quran distributed during the era of Caliph Uthmân (third Caliph) which is written according to Quraysh’s dialect (the tribe of the Prophet). 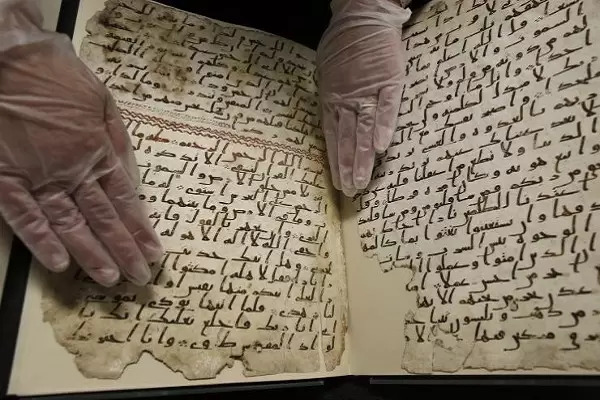 What about the written Quran (printed editions)? Qira’at exist in printed editions as well nowadays. Even most Muslims are not aware of this fact, but each Mus’haf (printed Quran) carries either in the beginning or in the end the rules of pronunciation of that Qira’ah as well as the Isnad (narration authentication). However, It must be said that the first written Quran was dictated by the Messenger of Allah (PBUH) to specific known companions immediately after revelation, as well as the memorizers and those writings were the source of the first round of Quran collection and authentication during Abu Bakr’s time (first Calif) and the second round of Quran collection and authentication during Uthman’s time (third Calif) in Quraysh tribe dialect. Both writings were devoid from dots and diacritical markings which were introduced later on by Muslim scholars to insure correct pronunciation of the written Quran in accordance with the recited authentic Qira’at. Dots and diacritical markings were introduced to Arabic writing by Muslim scholars. The most renowned of are Abu’l Aswad ad-Du’alî (d. 69 / 688), Naṣr Ibn ʿĀṣim (d. 89 / 707) and Yaḥya Ibn Yaʿmur (d.129 /746). How different are the qira’at? A fact to remember; those Qira’at are all authentic and traced all the way back to the Messenger Muhammad (PBUH). Qira’at are not the different “versions” or “texts” of the Qur’an as fantasized by non-Muslims and anti-Islamists. Qira’at are authentic divine revelations of Quran that are handed down unaltered from the Messenger of Allah (PBUH). Although they differ in many aspects, they convey the same meaning and message. Quran contains a verse conveying that Allah confirms His preservation of the Quran until The Day of Judgment.